Down a point with 1:07 left in the game against a 3-6 Lions team, with a hot Cam Newton at his disposal, Riverboat Ron gambled. 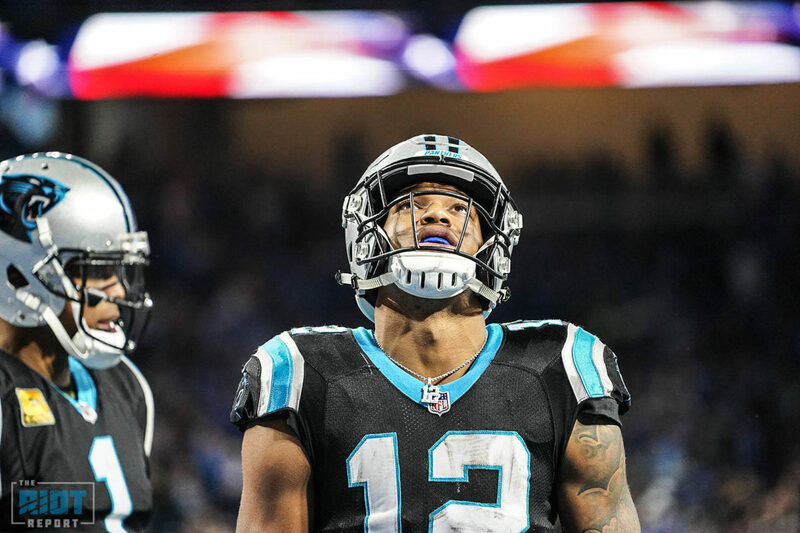 After Newton led his Panthers offense down the field on a six-play, 75-yard drive that ended with an eight-yard touchdown to DJ Moore in the corner of the end zone with just over a minute remaining, Rivera left his offense on the field to attempt a two-point conversion instead of kicking the extra point to tie the game at 20 and Newton, with plenty of time, missed an open Jarius Wright in the end zone as the Panthers fell to the Lions 20-19 at Ford Field, their second straight loss to send them to 6-4. The Lions had lost three straight. To begin the game, though, Panthers fans were having PTSD. After last week’s drubbing on Thursday Night Football by the Pittsburgh Steelers, the Panthers appeared to be following the same exact script as their previous road loss – a crisp drive to open the game, followed by a demoralizing defensive performance as the opposition stormed back to tie the game. Only this time, instead of not allowing a punt until less than ten minutes left in the fourth quarter and the starters had been removed, the Panthers defense tightened up to keep the Panthers close in the first half – it was a game where most drives sputtered and stopped, with only a few offensive highlights coming on only five of the 20 combined drives. The first drive, as it did last week, saw a hot Panthers offense storm down the field, this time it was 90 yards in ten plays with Cam Newton going 5-for-6 for 80 yards – his only incompletion was a Devin Funchess drop – and a one-yard touchdown pass to a wide-open Greg Olsen; Olsen leaked out to the left side of the line after a play-action fake to Christian McCaffrey. One of the advantages to the I-formation in short yardage is the variety of options that a defense has to prepare for – an Alex Armah fullback run, a RB power run behind Armah for McCaffrey, a naked bootleg or even the play-action fake to a wide-open Olsen are tough to defend when you don’t know which one is coming. Newton would end up with 357 yards on 25-of-37 attempts for three scores and an interception on the day. But while it wasn’t a 75-yard touchdown pass on the first offensive play of the game, a 12-play, 72-yard drive that featured rookie running back Kerryon Johnson picking up 42 yards and a bevy of broken tackles that ended in an eight-yard touchdown scamper for the rookie – his third of the season – to tie the game at seven early in the first. Johnson would finish with 15 carries for 87 yards and a touchdown before exiting with a knee injury. But unlike last week, where Newton would throw a pick-six and the Steelers would be off to the races, both defenses settled in for the majority of the first half – after both teams combined for 172 yards on their respective first drives, they would both only pick up 89 yards over the next eight drives as the Lions would enter halftime up 10-7; Matthew Stafford would finish with 220 yards, but would have only 64 yards on 13 completions in the first half. 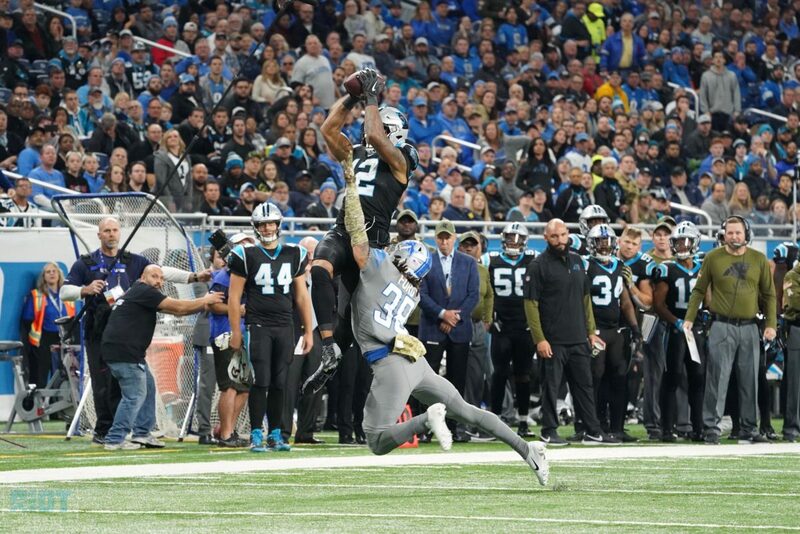 To open the second half, the Panthers again drove down the field, this time using a nifty catch-and-run by DJ Moore – the rookie went up near the sidelines on third-and-10 to make a leaping grab, come down inbounds and turn back towards the middle of the field as he blazed towards the Lions end zone; after being chased down by cornerback Darius Slay, the Panthers would waste that effort as Newton would be sacked three plays later and Graham Gano bounced a 33-yard field goal attempt off the upright – his first miss since Week 5 of last season, when he missed a 55-yarder. One has to wonder if the missed field goal, as well as a missed extra point, led to Rivera’s decision to go for two. Moore had the biggest game of his young career, racking up seven catches for 157 yards and a score on eight targets, a career high for both receptions and yardage. 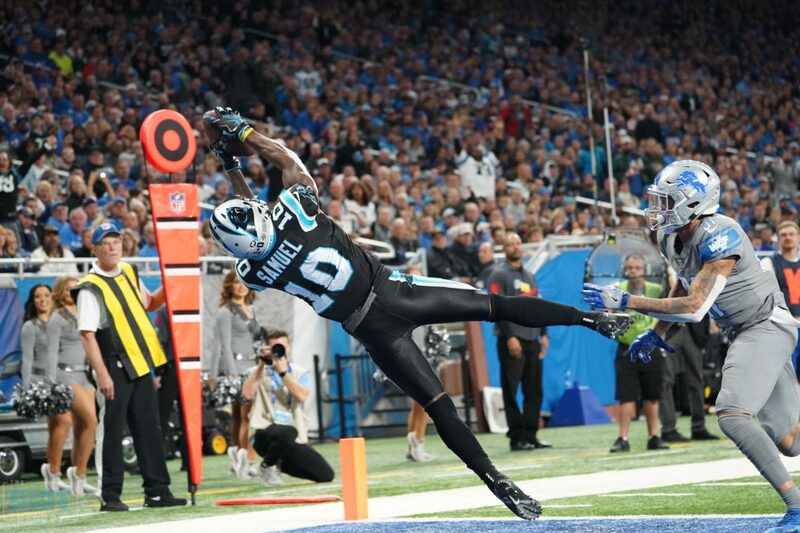 As the offense sputtered – without the Moore 82-yard catch and run, they had only 41 yards in almost 35 minutes of game time – Newton reinvigorated the offense with a 10 play, 92-yard drive in which the quarterback went 8-for-9 for 86 yards, the lone incompletion again coming on a Devin Funchess drop; the Panthers would come back to tie the game at 13 on a spectacular Curtis Samuel catch for 12 yards out. It was then Matthew Stafford’s turn for some magic – after beginning the game 1-for-8 on third down, the Lions would convert all three of their third-down attempts on a drive that covered 75 yards on nine plays; the Lions appeared to target cornerback James Bradberry against Kenny Golladay. Bradberry would lose Golladay down the right sidelines for 36 yards – on third down, before giving up a 19-yard eye-popping touchdown catch by Golladay, which was – fittingly – on third down to put the Lions ahead 20-13. Golladay would finish with eight catches for 113 yards.  On the same week in which they released CJ Anderson and signed two running backs – Kenjon Barner and Travaris Cadet – both of the new signees were declared inactive and McCaffrey, along with Cameron Artis-Payne, who hasn’t been active since Week 2, were the only active running backs on the roster. Rookie defensive end Marquis Haynes was also active for only the second time this season, with Efe Obada – who has only four combined tackles over the past six games after being named NFC Defensive Player of the Week in Week 3 – failed to get a jersey. Donte Jackson appeared to twist his ankle in a non-contact injury during the second quarter but didn’t miss many plays – he returned during the same drive after being attended to by trainers. Devin Funchess had a poor day in his return to his hometown – the end zone drop on the team’s first drive was only the beginning as Funchess would finish with two catches for 39 yards, but dropped five catchable balls. Cam Newton had a scary injury as he was twisted to the turf from behind by defensive end Ziggy Ansah, who would finish with two tackles and a sack; the quarterback would return after missing only a single play and lead the Panthers on a long touchdown drive. After giving up 16 sacks over the past two weeks, the Lions offensive line limited the Panthers to only one sack, a fourth-quarter takedown by Julius Peppers as he inched within two sacks of third on the all-time list. Graham Gano missed an extra point in addition to his missed field goal.